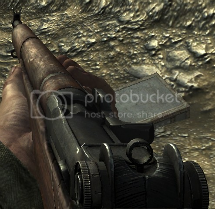 The most common form of soldier seen in Call of Duty: World at War is the basic soldier. There are numerous reasons for this, such as the fact that the majority of weapons fit in with the standard infantryman's style of play. Submachine guns fill the role of the rusher and rifles fill a support role. The reason that LMGs, HMGs, shotguns, and sniper rifles are not weapons used by infantrymen is simple. LMGs and HMGs are mainly for support. They provide covering fire, and shouldn't get in the middle of things. The difference between the rifleman and the heavy gunner, is that the rifleman should move with the rusher, while the heavy gunner should stay back and lay down suppressing fire. Shotguns aren't included in an infantryman's arsenal, because their role is that of a sabateur. Shotgunners should stay away from the rest of their team, and eliminate members of the opposing team who are trying to secure an objective. Sniper rifles are most definately not in an infantryman's weapon arsenal, because the main purpose of a sniper is to pick off targets from a far. BRiddler's Opinion: This is a great gun. The power is incredible, and as long as you have a somewhat quick trigger finger, you will be successful. Recommended Attachment: Aperture Sight, because it allows you to pick off distant targets, but at the same time you can take out close to mid-range targets. 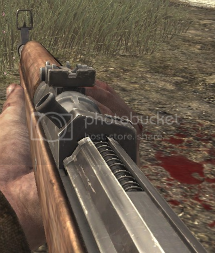 Good Maps: The Gewehr-43 is good on almost every map, as long as you stay out of large firefights. BRiddler's Opinion: This gun is my favorite of all the rifles. 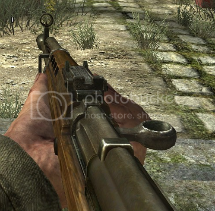 Like the Gewehr 43, it has great power, and as long as you have a quick trigger finger, you'll do fine. The thing that I think makes it better than the Gewehr is that it has the ability to be fitted with a bayonet, which I think is great for CQC. Recommended Attachment: Bayonet, because it allows you to dominate in close-quarters combat. Good Maps: Every map is good for the M1A1 Carbine, as long as you stay away from large, close-quarters skirmishes. BRiddler's Opinion: I personally didn't like this gun for a long time. Luckily, I stuck with it, and now that I have the sniper scope, it is beastly. Recommended Attachment: Bayonet. I would say Sniper Scope, but that would make it a sniper rifle, not an infantry weapon. Good Maps: The M1 Garand can be used effectively on all maps, as long as you don't engage in constant close-quarters combat. BRiddler's Opinion: This gun is good. Yup. Its good. No recoil, fully automatic.....unfortunately, it has relatively low power and a slow rate of fire. 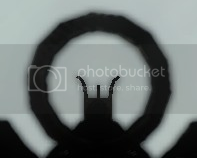 Recommended Attachment: Aperture sight, because it allows you to engage targets at both longe and short distances. 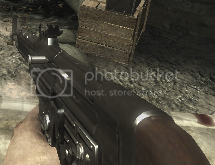 Good Maps: All maps are good for the StG 44, as long as you avoid CQC with SMG's. BRiddler's Opinion: I'm going to be perfectly honest. I don't like this gun. The only thing that bothers me about it is the recoil. I mean, I can use it just fine. I just think that there are better rifles. Good Maps: All maps are good for the SVT-41, as long as you stay back. You don't want to engage in CQC with a SMGer. BRiddler's Opinion: This gun is great. The best part is that it is a two hit kill in Core without Stopping Power, so you can use Double Tap to fix it's rate of fire. This works amazing in CQC. Recommended Attachment: Dual magazines, because when you are in the middle of a firefight, the last thing you want to do is reload. Good Maps: All maps are good for the MP-40. This gun excels at mid-range, so go in areas where you will engage enemies at mid-range. BRiddler's Opinion: This gun, in my opinion, is OK. Just OK. The power is a little too low for my liking, but the rate of fire is impressive. Recommended Attachment: Drum magazine, because when you are in the middle of a firefight, the last thing you want to do is reload. Good Maps: All maps are good for this gun. The recoil is almost nonexistant, so taking on longe-range targets isn't a problem, but the fire rate is so impressive that close range targets aren't a problem either. BRiddler's Opinion: For those who have played with me, you know how I feel about Tommy. For those who don't.....he is my best friend. Great rate of fire, power, and accuracy makes this gun my personal favorite. Good Maps: All maps are good for this gun. Stay in areas where you won't have to worry about long range, because this guns rate of fire and power is unmatched. BRiddler's Opinion: This is a good gun. 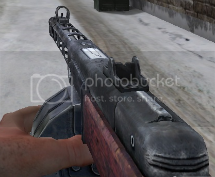 Its rate of fire and power is identical to the Thompson, and it has a larger clip. Recommended Attachment: Extended clip, because when you are in the middle of a firefight, the last thing you want to do is reload.